Driving should be an enjoyable experience, every time. That’s why we’ve built Pilot Assist to take over for you when traffic conditions are affecting your smooth drive. As the most advanced semi-autonomous driving system available, Pilot Assist safely steers, accelerates and brakes your Volvo S90 for you during rush hour, roadworks… whenever you feel like it. So you can always enjoy the magic of the drive. ‍‍‍Model specifications and colours may differ from th‍‍‍e above image. 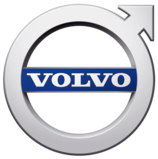 Please contact your authorised Volvo dealer for full specification and availability details.